I just read on Facebook that an old friend died peacefully preparing for bed on Christmas night at St. Catherine of Siena Priory (NYC). Jolting news in this time of joy. 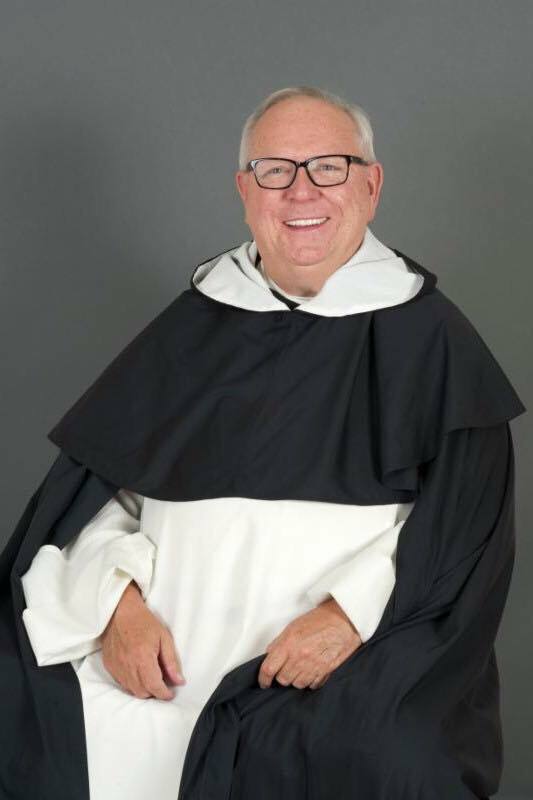 Father John Patrick McGuire, OP, 73, was a talented man and a lovely person. His ministry allowed for him to do some wonderful things for Christ and others. Father John’s death is a sad event for me, someone I’ve known for 30+ years. I pray for him, in thanksgiving, petitioning the Lord to forgive his sins and to grant him eternal life; I pray for the Dominican brethren, and the countless friends he enjoyed. O God, Thou didst raise Thy servant, Father John Patrick to the sacred priesthood of Jesus Christ, according to the Order of Melchisedech, giving him the sublime power to offer the Eternal Sacrifice, to bring the Body and Blood of Thy Son Jesus Christ down upon the altar, and to absolve the sins of men in Thine own Holy Name. We beseech Thee to reward his faithfulness and to forget his faults, admitting him speedily into Thy Holy Presence, there to enjoy forever the recompense of his labors. This we ask through Jesus Christ Thy Son, our Lord. Amen. Saint Dominic and all Dominican saints and blesseds, pray for Father John, and us.